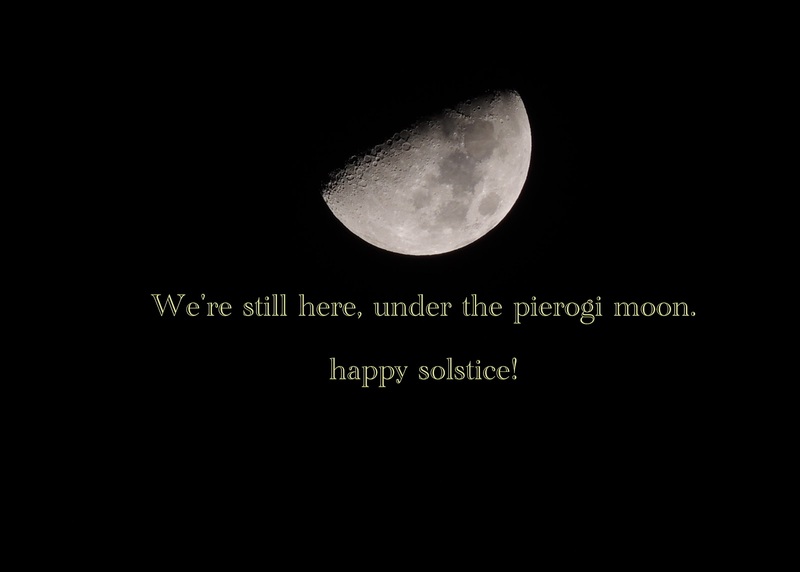 Solstice greetings, surviviors! We made it past the latest apocalypse and apparently, we are still here. And in the words of Dr. Who, we are now "halfway out of the dark". All over the world, winter solstice is marked by celebrations and rituals marking the return of the light and new beginnings. After weeks of increasing nights, we are stirring towards the sun. Seems a perfect time for reflection and shedding of the dark we want to leave behind. Light a candle, write down your regrets, and make a plan to let them go. In ten days I'll start the January Challenges. This year let's go for broke: 31 days to a shinier, happier, *new and improved you! The blog will feature a tip and a challenge a day for increasing happiness, health, community, and creativity. Your participation and comments are invited and welcome.